Abode Blinds is the new brand from Ambition Blinds offering a hung range of blinds in a number of colours, shapes and patterns. 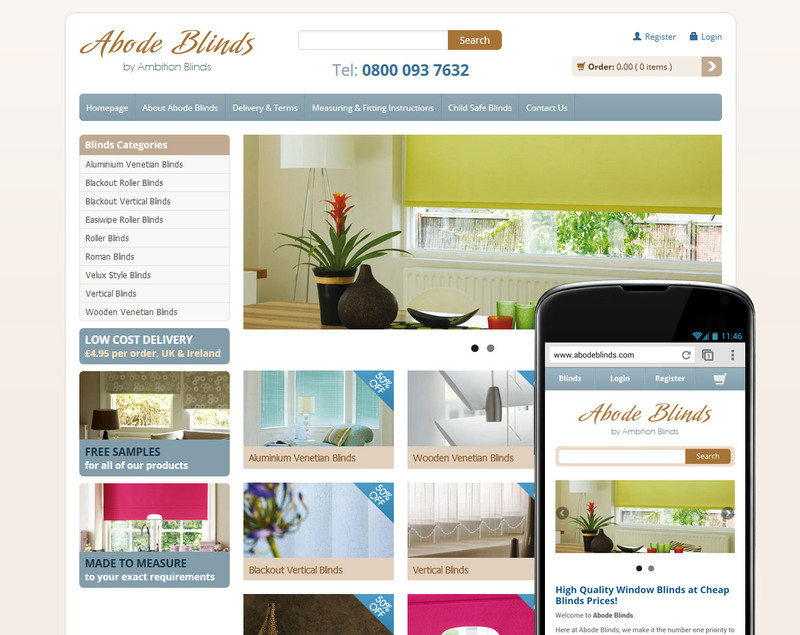 The new website features a powerful calculator which allows the client to specify a range of options to the customer who can then calculate the pricing of their blinds for the exact dimensions they need. This website is designed for both mobile and desktop resolutions and adapts to the customer’s device, whether it be a 27″ monitor or a small handheld device.